How to get a 💯 night's sleep in your hammock. Can you actually get a good night's sleep in a hammock? Yes, yes you can. But of course we would say that–we're a hammock company, right? Right. But we're also the experts. And we wouldn't be in the industry if we didn't believe you could have the best nights sleep of your life in a hammock. So we're here to help, lend your ear. 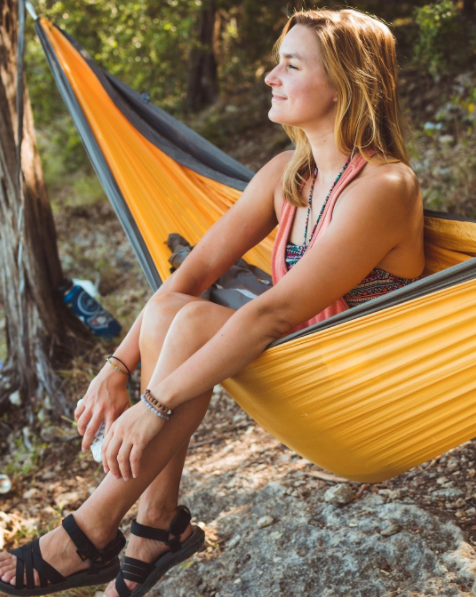 Easy Zs in your hammock are closer than you think! This camper chose to sleep in her hammock for 10 days. Here's what she learned. Meet Stephanie. Stephanie is a camper and outdoors woman who has learned a thing or two about sleeping well in a hammock over the years. What's the longest you've slept consecutively in your hammock, and why? The longest I've slept in my hammock consecutively is 10 nights. 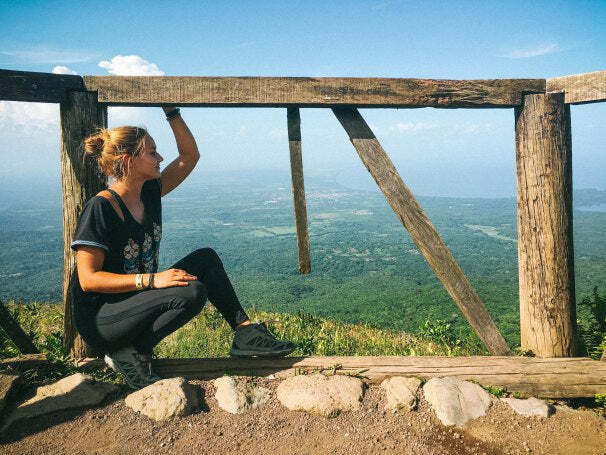 I was staying at a permaculture farm in Nicaragua, and they offered hammock camping for only $4 a night! How long did it take you to adjust and sleep through the night consistently? Pretty instantly. It takes a few minutes to snuggle into that "sweet spot," but once you're there you are in for a good night's sleep. What is your preferred way to lay in your hammock for sleeping? Most certainly the diagonal position. This way your body is lying almost parallel with the ground, and you get the most surface area out of the material of your hammock. This way you feel open, while at the same time embraced by your hammock. 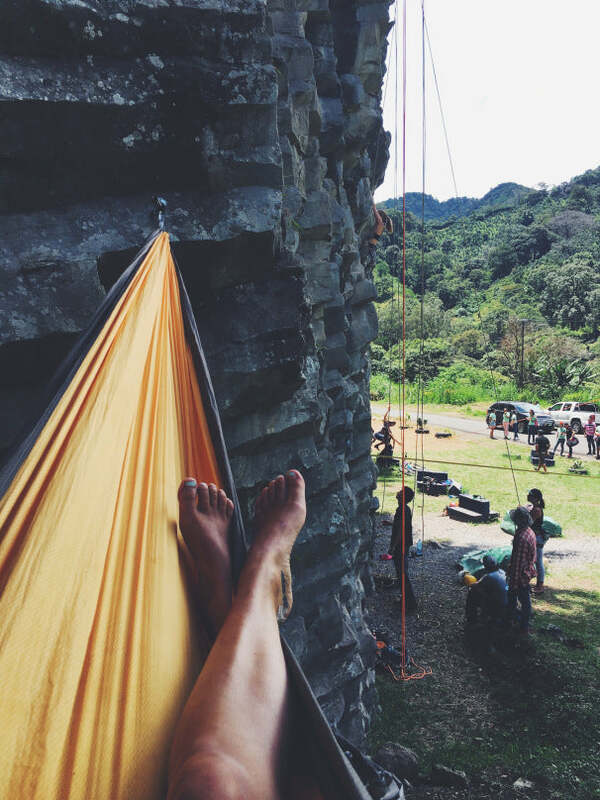 What would you say to someone who is afraid they'll be uncomfortable in a hammock? Don't knock it 'til you try it! And if you tried it once, try it again because the first night sleeping in a hammock is always the roughest. Your body is adjusting to something completely different, and it's not going to happen overnight! (Literally.) Give it two or three times to make up your mind for if it's really for you. What kind of hammock were you sleeping in? I slept in my Gold Coast Roo along with the Dragonfly mosquito net and my Thylacine sleeping bag as a cushion underneath me, and to cover my back from the cool night breeze. What was your go-to sleep position when you slept in a bed, did that change when you started sleeping in your hammock? Sort of. I'm a back and side sleeper, and that's exactly what I do in my hammock; except in my hammock I fall asleep on my back and wake up on my side. In the bed it's just the opposite. Weird. What would you say to stomach sleepers out there? I'd say be open to trying something new! We as humans are very adaptable creatures, and you may just find out you can sleep another way. And if you're really that die-hard of a stomach sleeper, you can also play around with the stomach position in your hammock, by putting a pillow underneath you or laying diagonally so that your body is more flat. Any pro tips you learned over your time sleeping in your hammock? First off make sure when you hang your hammock, it's almost straight across before you get in. I've tried hanging it with a slight droop, and it makes all the difference in the world in terms of comfort. Next, and this goes for all camping, if you're a light sleeper like me, bring ear plugs or headphones to sleep with, otherwise every single noise in the night will wake you up. Still have questions on camping elevated? Check out our Hammock Camping 101 page, where we answer even more questions about getting your camp off the ground. Ready to camp? Check out our Camp Starter Kit, with all the gear you need to get going.